DV Head leveling via half balls, either directly attached at the bottom of a fluid DV head or as an addendum to a flat based DV head, is common sense to videographers. Large Video Tripods equipped with 75 or 100 mm bowls are a must to operate this heads. Nonetheless, in the recent years more and more Systematic carbon fibre tripods in circulation feature a Video Bowl as an option. What if we don't have either? Or if the situation does not permit / allow for a large Video and/or Systematic tripod? Then the use of a Hi-Hat could come in rescue. But still if even a Hi-Hat is too much? 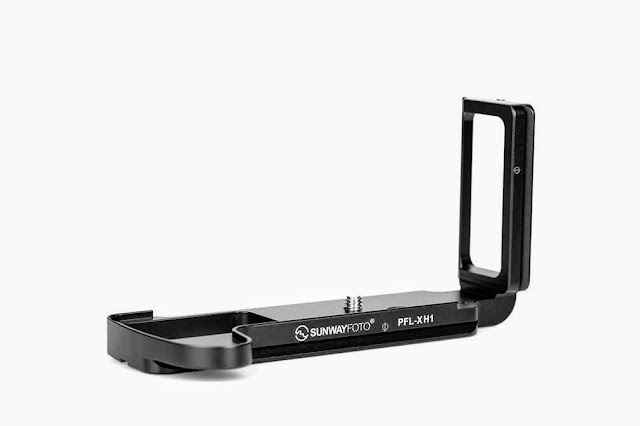 Then you can get a "Cradle" which offers the ability to attach a Video Bowl on any - preferably heavy duty - tripod or screw it on any convenient device or surface. Therefore, in order to have a broader idea of what a "Cradle" can do I have gathered together some of the solutions offered by Desmond, who enrich their arsenal with more and more devices in exceptionally low prices. 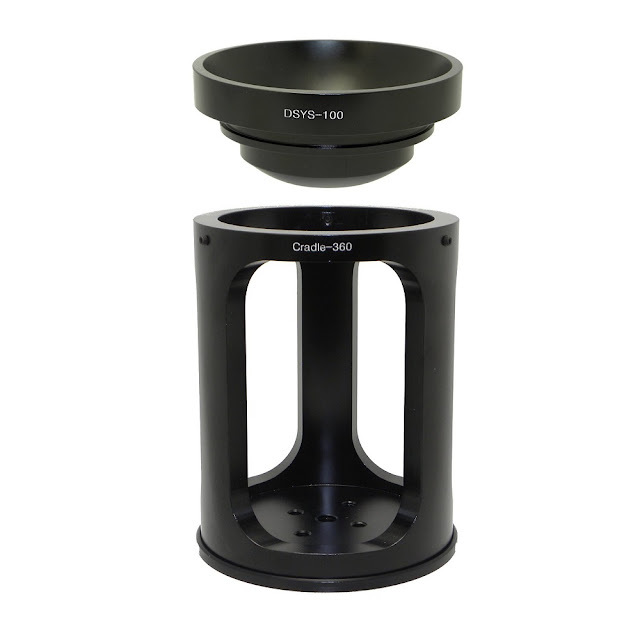 Allows conversion of tripods with a standard 3/8"-16 Stud into a 100mm video bowl mount, in order to accept DV heads with a 100mm half ball attached. The solution consists of two strong aluminium pillars, which rise the bowl attached on top sufficiently in order a half ball handle is operational beneath the bowl. Total height 6" (15.24 cm). The Cradle base made also from a thick aluminium bar, features one center 3/8"-16 threaded hole and four satellite 1/4"-20 threaded holes around it. 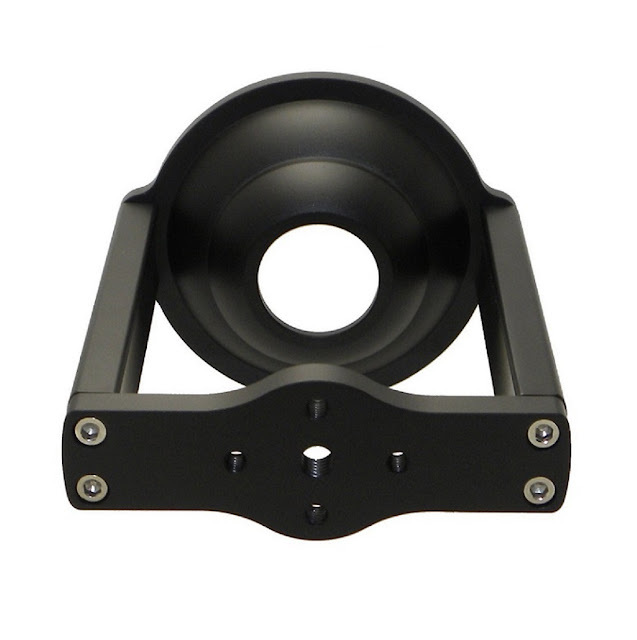 This allows attachment on a tripod stud via the center hole or else a jib, a crater, a slider e.t.c. Total weight: 15.7oz (445g). 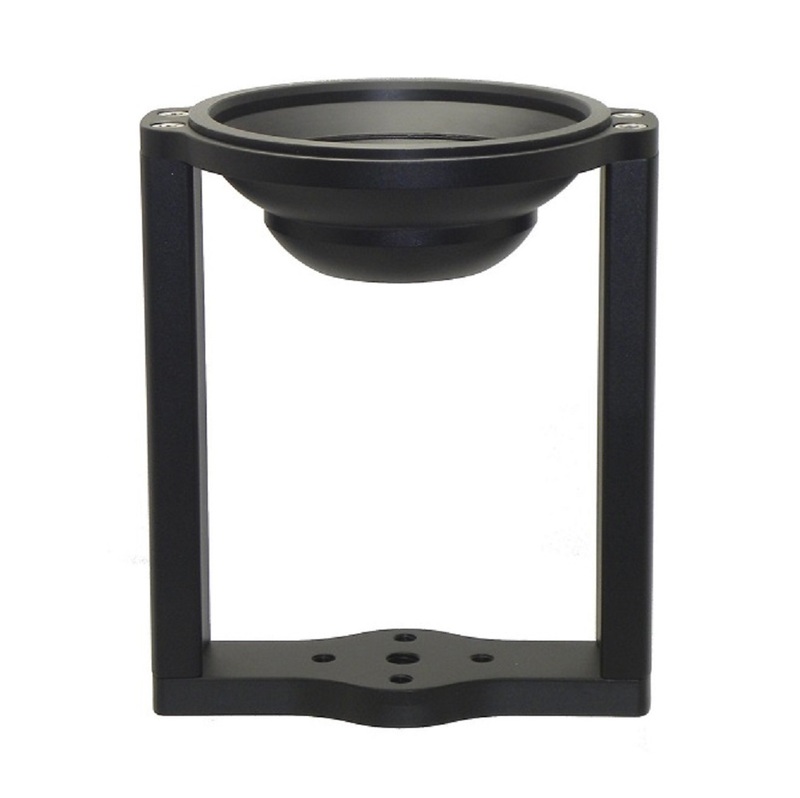 This is the Cradle previously described coming together with a D100-Bowl 100mm Half Ball Leveler for DV heads with a flat base. The D100-Bowl 100mm Half Ball Leveler is made out of Aluminium without any plastic or rubber parts but with a Stainless Steel bolt and weighs 13.9oz (394g). 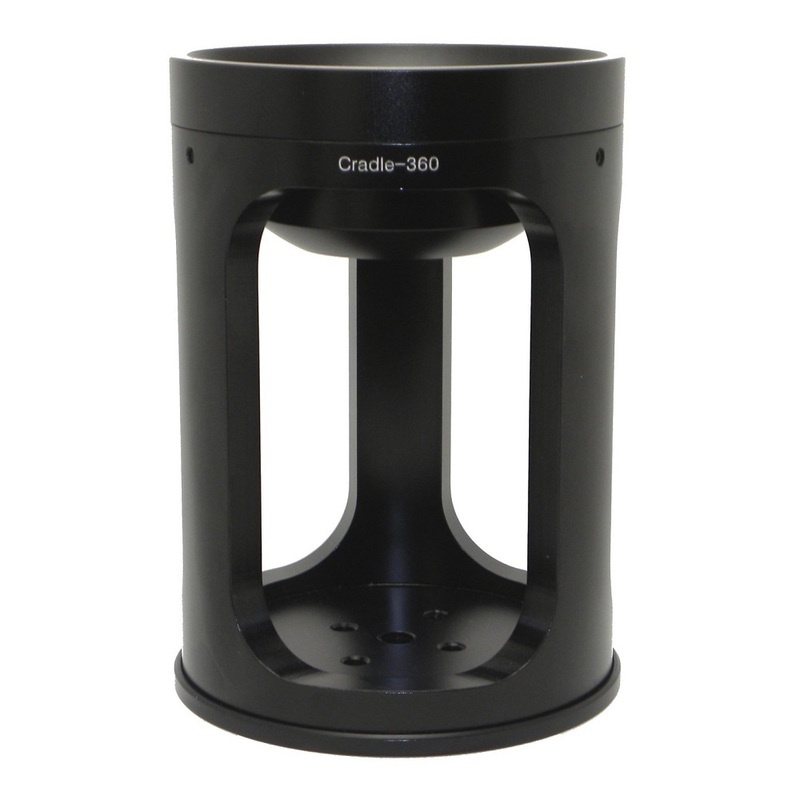 The 360 Cradle is somewhat a different approach in the same Bowl Riser requirements. 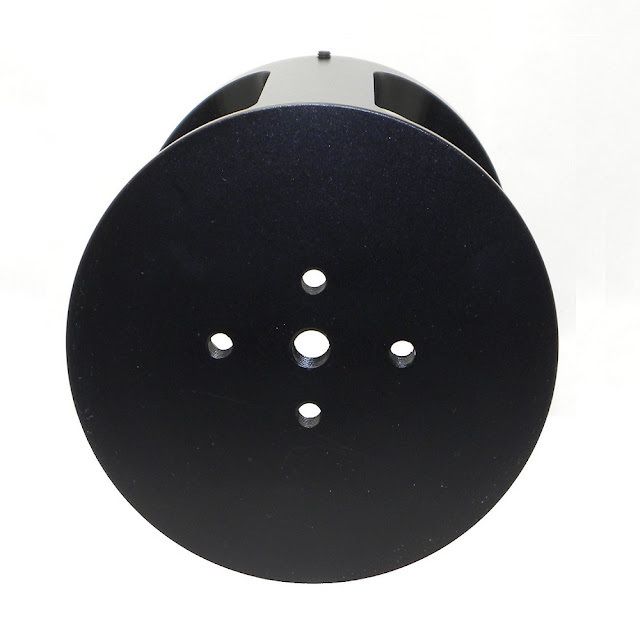 Although it is CNC machined from aircraft grade aluminum. It is not modular as the previous model, but rather a massive rounded structure made of solid 9.5mm thick aluminum in a satin black anodized finish. The solid structure combined with three vertical pillars instead of two, result in substantially increased stiffness, therefore better behavior to vibrations. The Cradle 360 does not include a bowl adapter by default. However, a major feature of the Cradle is its compatibility with Gitzo® Systematic Series 3 & 5 accessories. Therefore besides being a Bowl Riser, it converts any conventional tripod with a 3/8"-16 top mounting stud into a Gitzo series 3 / 5 compatible. 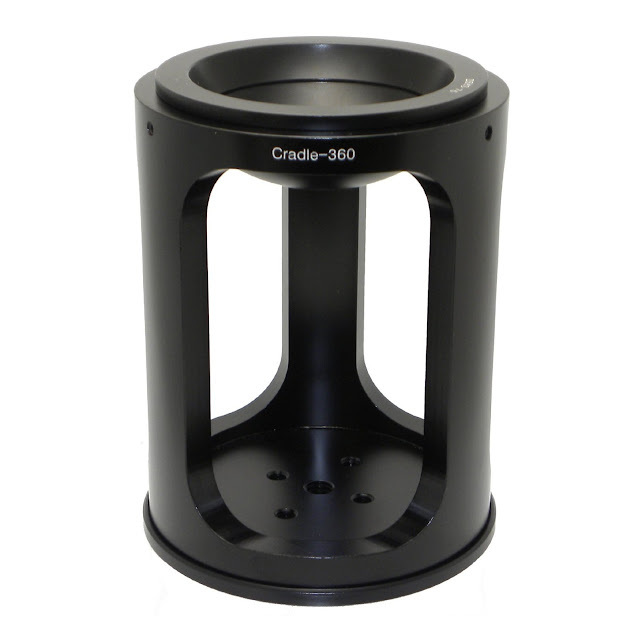 The Cradle 360 base differs is shape and size, being circular but also made from a thick aluminium plate. 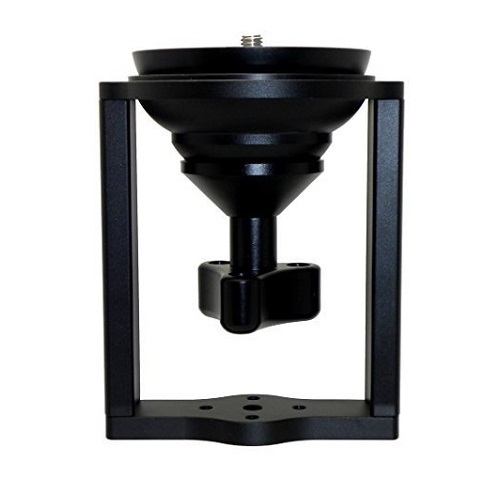 Otherwise, in the same manner as the previously mentioned model, it features one center 3/8"-16 threaded hole and four satellite 1/4"-20 threaded holes adding versatility for attachment on other devices. Further, the Cradle 360 features 3 safety set screws triangularly positioned at the top of each pillar on the perimeter of the top opening. 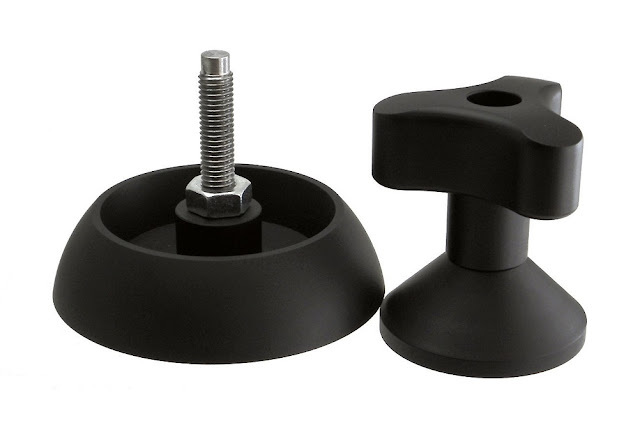 These screws allow for securing Video Bowls or other accessories sporting the Gitzo® safety rim compatible with the latest Systematic series tripods. Needless to say that the appropriate Allen wrench is also included. 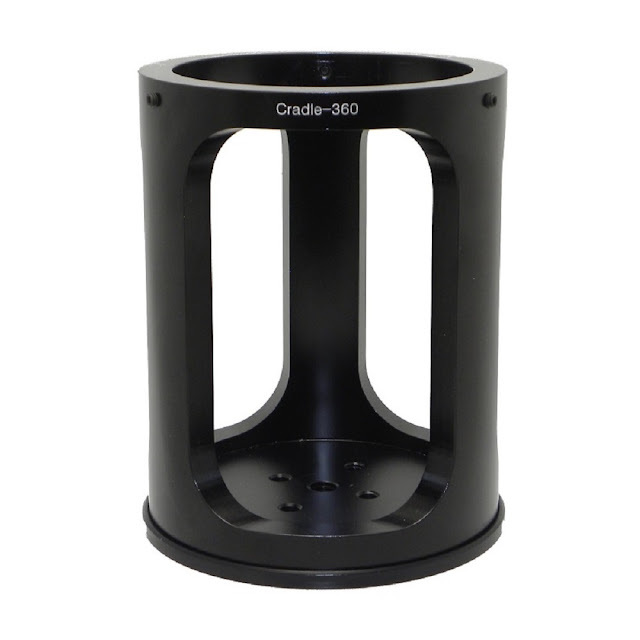 Finally Cradle 360 height alone reaches 5.5" (140mm) and weighs 20.3oz (576g). 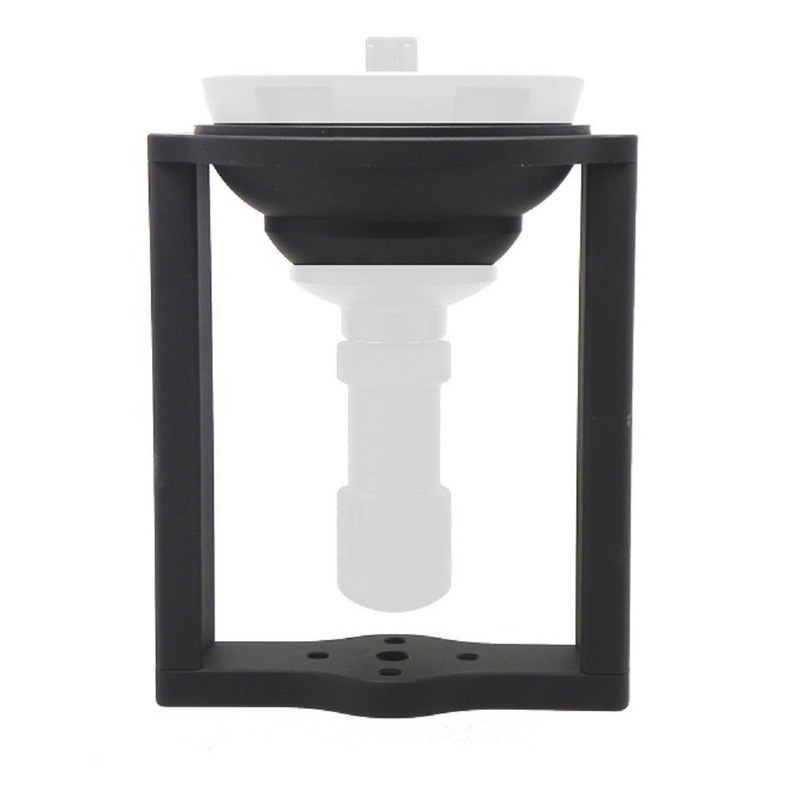 Desmond Cradle 360 Bowl Riser Gitzo Series 3 / 5 Compatible with 75mm Bowl. This is actually a Desmond Cradle 360 Bowl Riser & a Desmond 75mm Bowl Adapter selling together as a Combo. The Desmond 75mm Bowl is fully Gitzo® Series 3 & 5 compatible since it includes a safety groove. 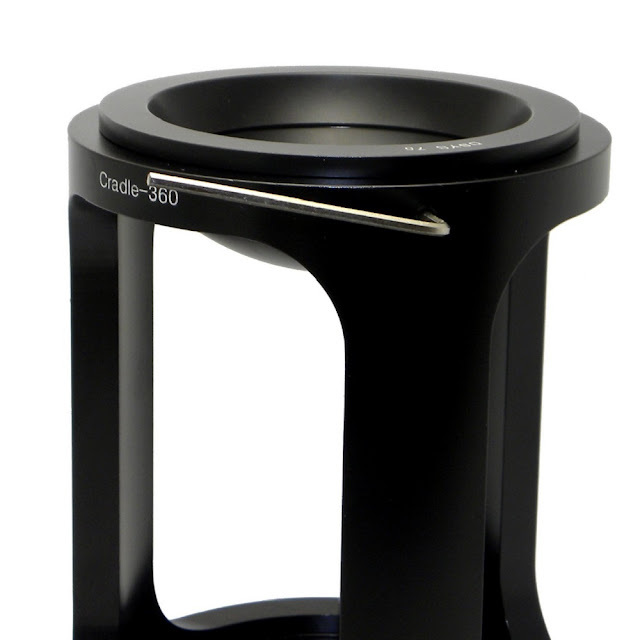 The 75mm Bowls adds 4.8oz (136g) to the total weight of the Cradle 360. 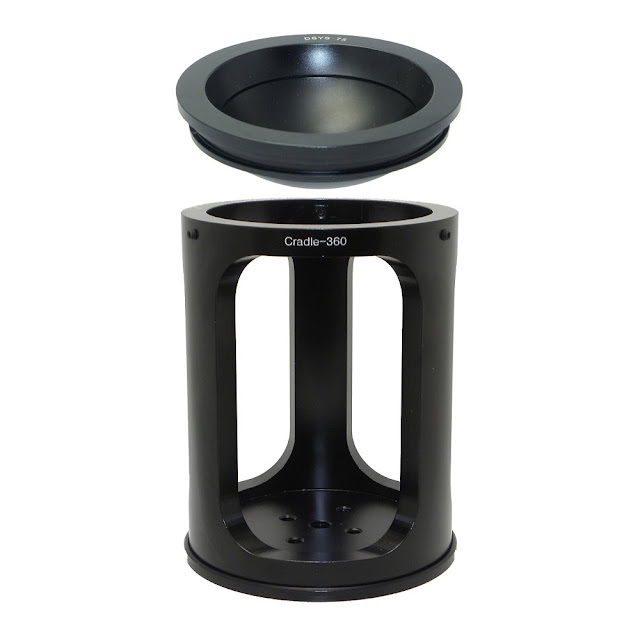 Desmond Cradle 360 Bowl Riser Gitzo Series 3 / 5 Compatible with 100mm Bowl. Much like the previous model, this one is a Desmond Cradle 360 Riser combined with a Desmond 100mm Bowl Adapter as a Combo. Once more the Desmond 100mm Bowl meets full Gitzo® Series 3 & 5 specs with the forementioned safety groove. The total weight is slightly increase with the 100mm Bowl since it weighs 7.1oz (202g). If you are interested in any of the products please consider using above link(s) to make your purchase and help support this site. 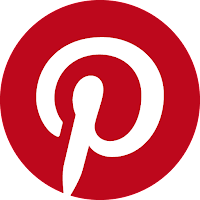 Your support is needed and greatly appreciated.